The Town of Long Lake Parks and Recreation Department is pleased to announce a Hearth Basket Class slated for Saturday, February 5, 2011 at the Long Lake Town Hall located at 1204 Main Street/Route 30 in Long Lake, NY. The class will be held from 9am to 4pm. The class is taught by Long Lake native, Shea Farrell Carr, who took over the reins of Adirondack Basket Case from her mother, Patty Farrell, in 2009. 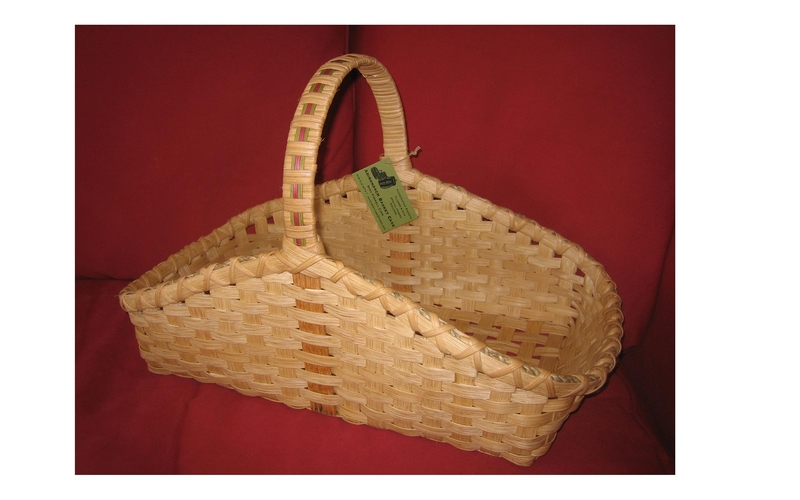 Shea will teach the basics of basket making and help students refine their weaving skills at this one day class. The hearth style basket is meant to hold newspapers and kindling, but can be used to store a variety of items, such as blankets and towels. Students will select colors to create their own unique basket. The base is 10” by 18” and finished dimensions of the basket are 20” wide by 14” high by 10” across. Cost, including all materials, is $50 per student. Please contact 624-3077 to sign up. So everyone said I was nuts? Move to Long Lake? I say what not now that I live back home. Maybe some entrepreneur will figure it out… and take a risk and not be afraid of the ups and downs and highs and lows, and still take a chance. Leave the truck close to shore so you know you have enough cable to pull it out. So if you make a fire on the ice... will we fall through? 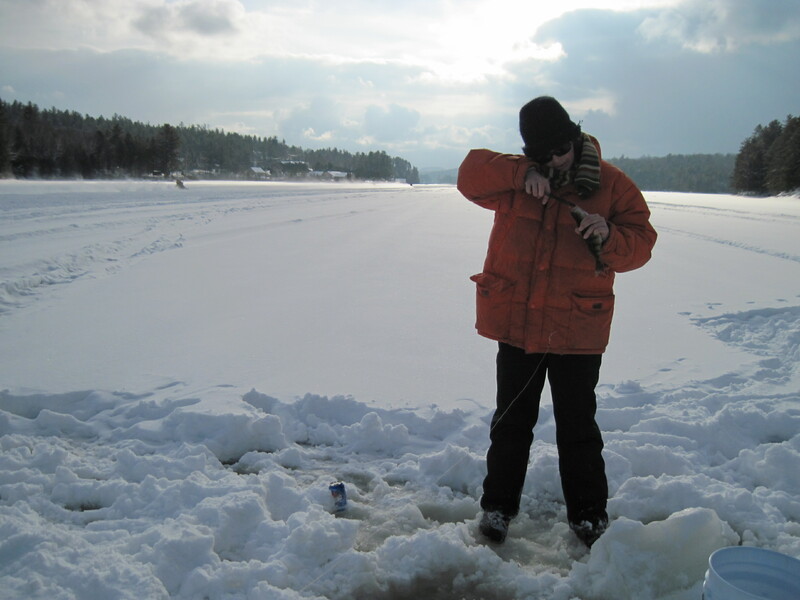 A flag – “It’s a flag, is it a flag!” Opening the NYS DEC fishing handbook… is that a bass or a perch or simply something else? Hey, we grew up here and we can’t identify fish… but at least we’re out there. And a sunset. A beautiful golden sunset, blanketing us with magic. So that’s why I moved home. At least that’s how I feel today. Ask me in mud season…. I’m sure I’ll have a different story. The Long Lake Parks, Recreation and Tourism Department is gearing up for the 2nd Annual Wacky Winter Wonderland Week with fun activities for all ages. 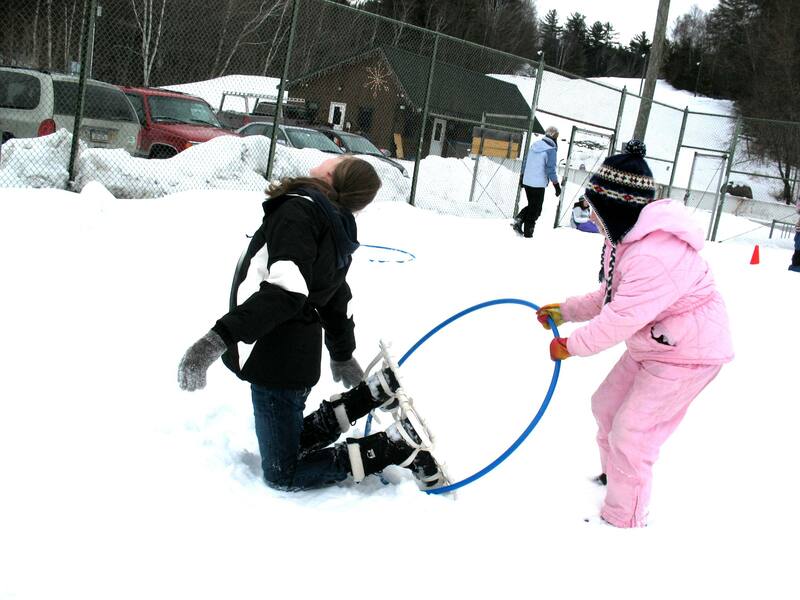 Winter Wacky Week in Long Lake is a combination of outdoor fun and indoor decompression. 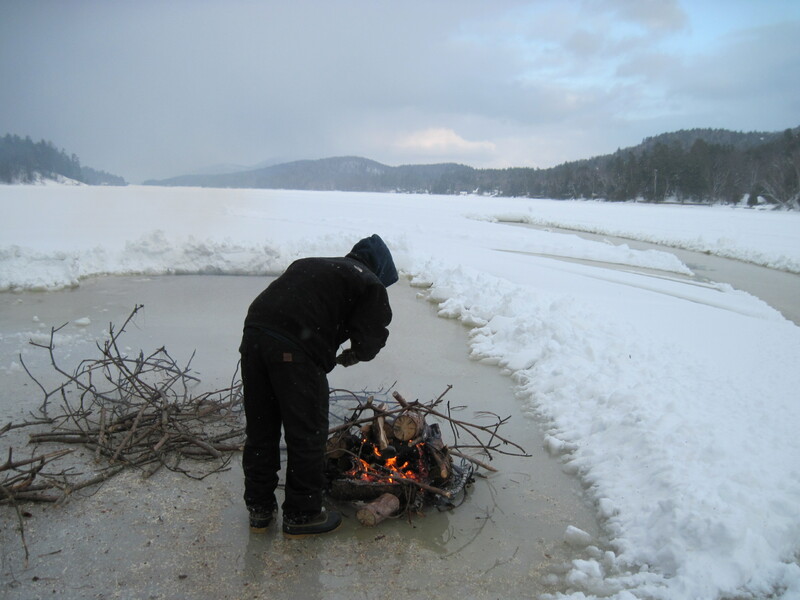 We invite and encourage folks to make Long Lake “Family Headquarters” for Mid-Winter Break. 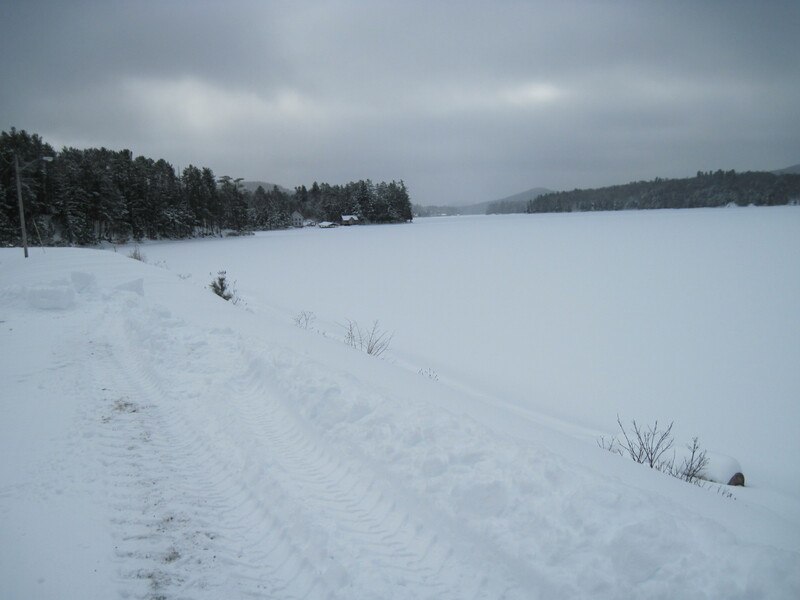 Long Lake lodgings offer lakeside views, cozy cabins and affordable accommodations. Our central location makes exploring ski areas around our area a snap. 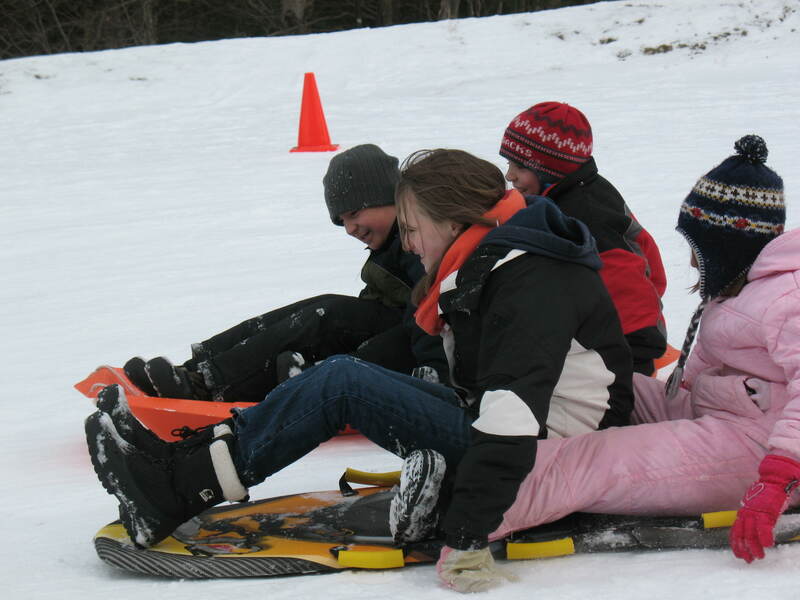 In one week hit the slopes at our area mountains including: Gore, Whiteface, McCauley and Big Tupper. If fun zany family events are more your style, try out for Winter Shorts! Experience a cross-country ski clinic with Caleb Davis. Take in a concert at the Long Lake Library with Adirondack Folk Artist Chris Shaw or go for the gold at the Long Lake Winter Olympics. Don’t miss out on the 2nd Annual Hors D’Oeuvres Throw Down between this year’s exclusive participants, The Cellar and The Adirondack Hotel. Last year’s winners for Best in Show and Best Hors D’Oeuvres go head to head with gastronomic delights to please the palette. Their top secret selections won’t be revealed until game night! Finally the week rounds out with a wild winter geocaching adventure. 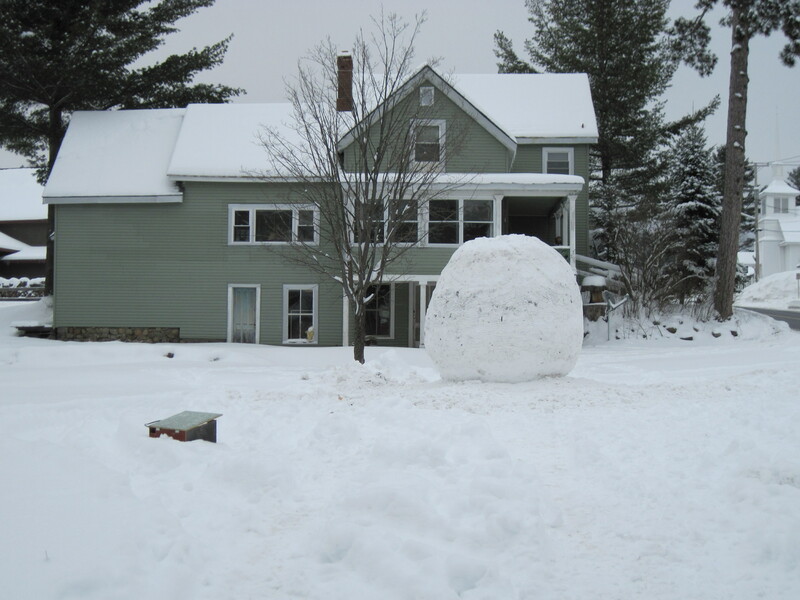 SUNDAY 02/20-25: Winter Wacky Week In Long Lake! The Geiger Arena will be open each day of February Break for free skating and sledding from 1-5pm and 6-10pm (except Sunday, when it closes at 9pm)! 6-9pm Winter Shorts! Casting Meeting at the Long Lake Town Hall. Actors of all ages and experience levels are invited to this one week intensive acting experience right here in Long Lake! Audition on Sunday, rehearse from 6-9pm on Monday-Thursday, then perform on Friday night! 10am-4:30pm Youth Indoor Rock-Climbing Trip to Rock Sport in Queensbury. This is the perfect introduction to rock climbing for 3rd-12th graders! $10 for a full day of climbing, all equipment provided. Transportation provided to and from LLCS. Pre-registration required. Call 518-624-3077 to sign-up. 10:30am-12pm Cross Country Ski Clinic at the Long Lake Ball Field. Get out your skis or rent a pair at Hoss’s and learn all the basics of cross-country skiing! Free. Minimum of three people required. All ages welcome. Call 518-624-3077 to sign-up. 1pm Long Lake Winter Olympics at the Mt. Sabattis Recreation Center. Sledding, skating, races, and more! All ages welcome. Call 518-624-3077 for more information. 7pm Christopher Shaw Concert at the Long Lake Library. Join us for a free concert by the legendary Adirondack folk singer and storyteller. 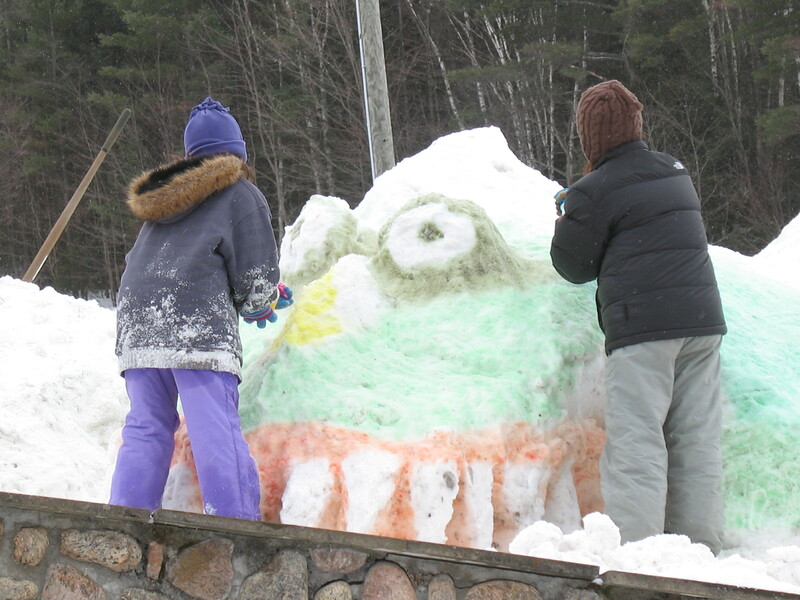 1-2:30pm Snow Sculpture-Making at Mt. Sabattis. Create and paint your own snow masterpiece! Free. 10:30am-12pm Cross Country Ski Clinic at the Long Lake Ball Field. Learn all the basics of cross-country skiing. Free. Call 518-624-3077 to sign-up. 1:30pm Capture the Flag and Manhunt (reverse hide and seek) for kids and teens ages 10-19 at the Mt. Sabattis recreation area. 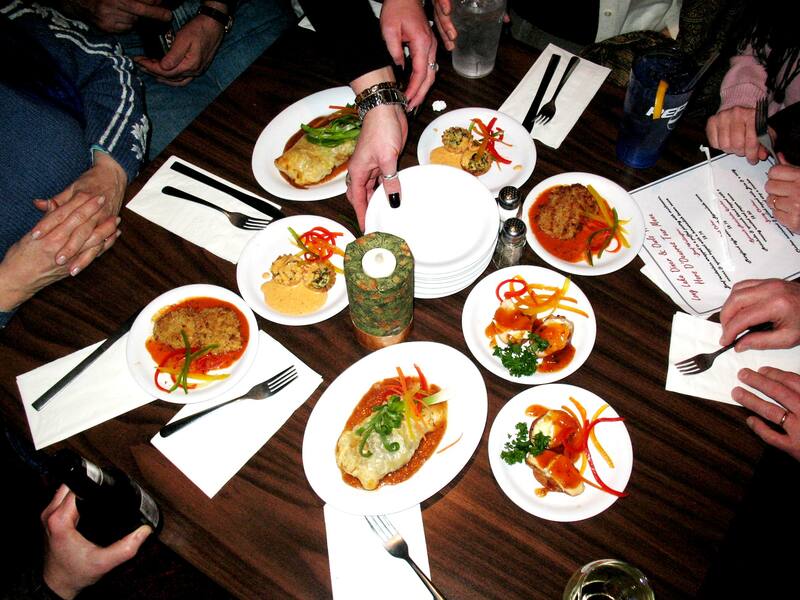 6-8pm Hors D ‘Oeuvres Throw Down! The Adirondack Hotel and The Cellar go head to head for the title of “Best Appetizer In Town!” Taste 3 appetizers at each restaurant for $10 total, then buy more if you’d like, or sit down and have a full meal! Must pre-register by Friday 2/18. Voting cards available on a limited basis on the night of the event. Drive yourself or let The Little Bus be your chauffeur from 5:45-10pm for no extra charge! Call 624-3077 to reserve a spot. 1-3pm Hip Hop Dance Class at the Long Lake Town Hall. All ages are welcome to participate in this free class with professional dancer, Anton Briones of New York City. 7pm Winter Shorts! Performance at the Long Lake Town Hall. Come see your Long Lake neighbors and friends in this unique production brought to you by the Adirondack Lakes Center for the Arts! At 7pm there’s a knock on my kitchen door. Will (artist, Matt Burnett’s Dad) needs the key to the Geiger Arena at the Mt. Sabattis orb location. He’s got snow in his beard and he wears a headlamp. 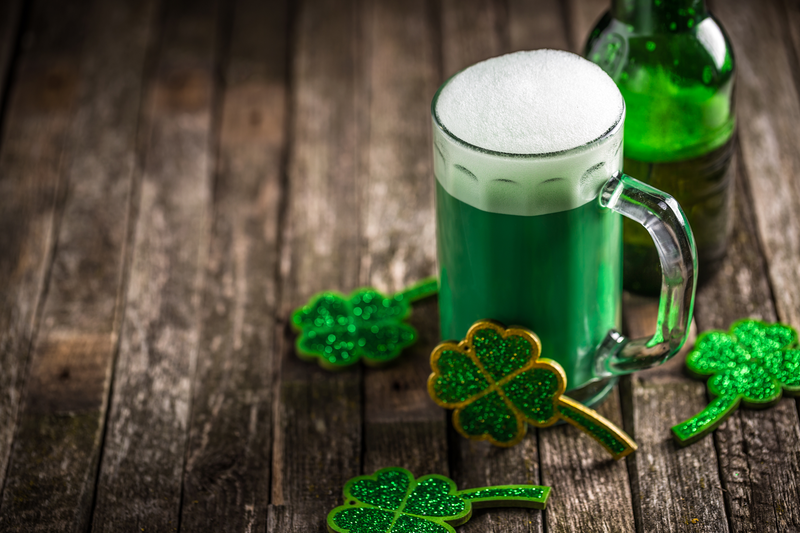 “We tripped the circuit.” Having just finished family dinner, I put down the dirty dinner dishes and leave the mashed potatoes cold on the stove and the chicken to coagulate in the pan. I grab my sleeping bag coat, known around town as my homeless person Port Authority coat, but keeps me warm and I head out. Two moments later – in Long Lake, time is measured in moments as most places in the center of town only take moments to reach, I arrive on the Mt. Sabattis scene to darkness. 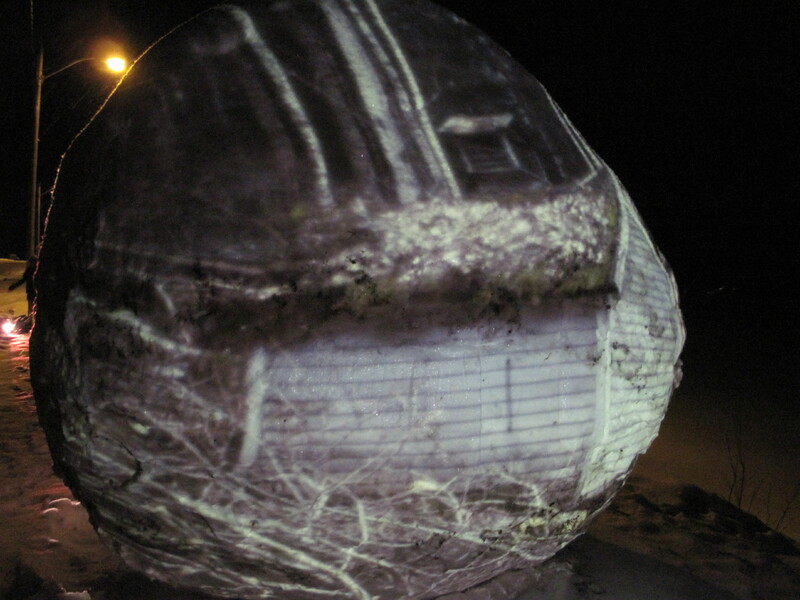 The orb, located across the street, glistens with LED projected illuminated water movement. Momentarily I’m hypnotized by the moving images, but I snap back to attention and flip through my key ring. I identify the appropriate key by the color and position on the crowded ring. Finally, the silver key next to the town hall key next to the padlock key near my car key, next to my old house keys from New Jersey which I really should get rid of, but I don’t because they help me remember the positions of all the other keys. I find the key I need and open the back door with success. Inside the garage we squeeze around the four-wheeler, the shovels and the water hose for the ice rink. The circuit box is located in one of two closets and the switches are carefully labeled: tennis lights and basketball courts, microwave, range, flood lights, hot water heater with a red cross and skull bones, refrigerator… Not that one. Willy spots it, “Garage outlets, outside wall. This is the only one that’s tripped.” He reset it (he worked for NYSEG for years, I figure he knows how to do these things). Leaving the garage door unlocked we trudge back into the tundra where the slide projectors and extension cords are partially buried under the snowpack. Willy huddled down near the orb following the electric cords connecting the two Kodak Extrachrome slide projectors somewhat protected in handmade wooden boxes. He flips the switch. The orb illuminates. But now to position the machines – just so, so the light bends around the shape. Where is artist Matt? Willy explains they got a late start to lighting the projections. Matt’s dog got loose and he had to run all over the place to reign him back in. They got a later start than anticipated and of course they ran into the circuit breaker snafu, but Will was confident Matt had made sure all the other projectors were on at the other area locations. 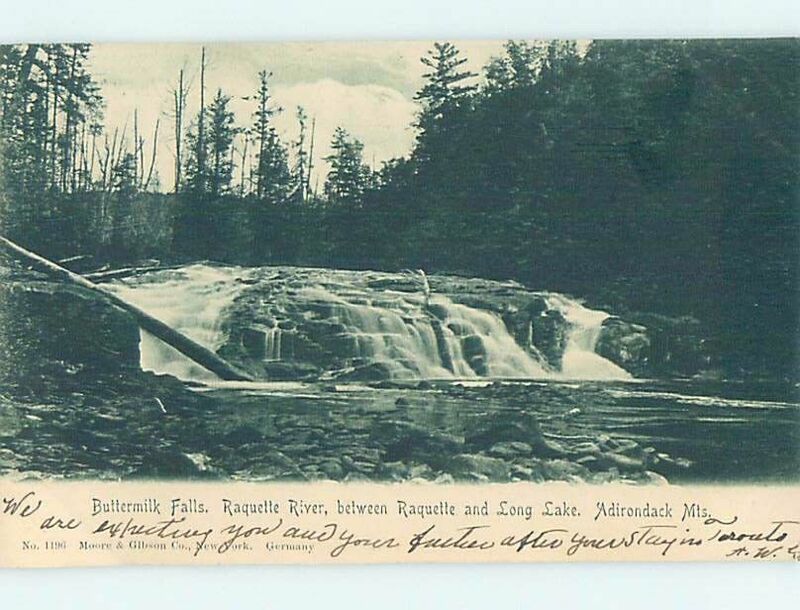 Because Matt was running around chasing his dog at darkness, spectators from Saranac Lake arrived on the scene having heard about the orbs on NPR and by reading in the Adirondack Daily Enterprise, but they were initially met with darkness. 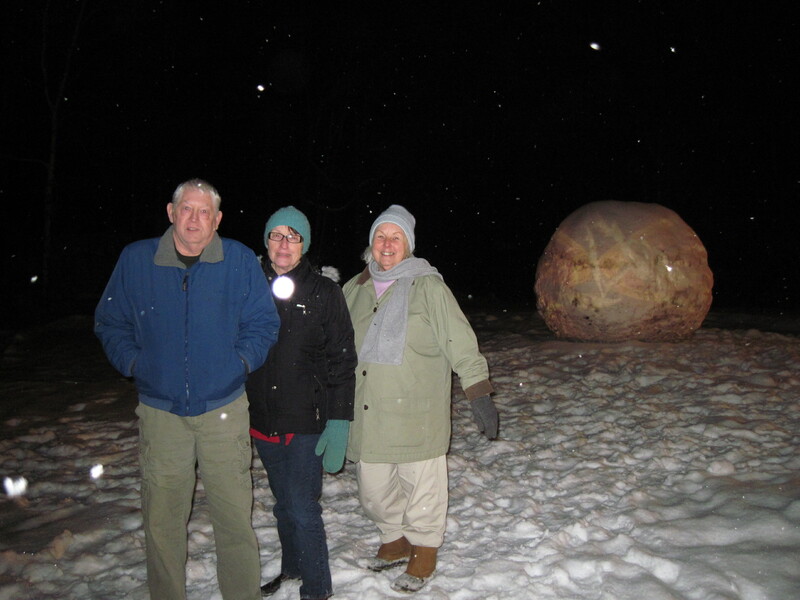 Luckily June and John (two local Long Lake “orbers”) were also orbing and they intercepted the potential audience and encouraged the visitors to have dinner and check out the orbs a bit later because “the artist lost his dog.” Please note: Dog is safe and sound. "Mommy - I think it's a farm orb"
The kids marvel at walking on the pond. I inform them proudly, “this used to be the skating rink, until the weather starting being super sketchy and it wouldn’t freeze every year.” My seven year old daughter asks gingerly, “am I going to fall into the lake?” My son’s response, “I hope so.” They frolic in the snow, admire Long Lake Central up at the top of the hill, and listened as a DOT snowplow scraped the blade all the way up route 30. 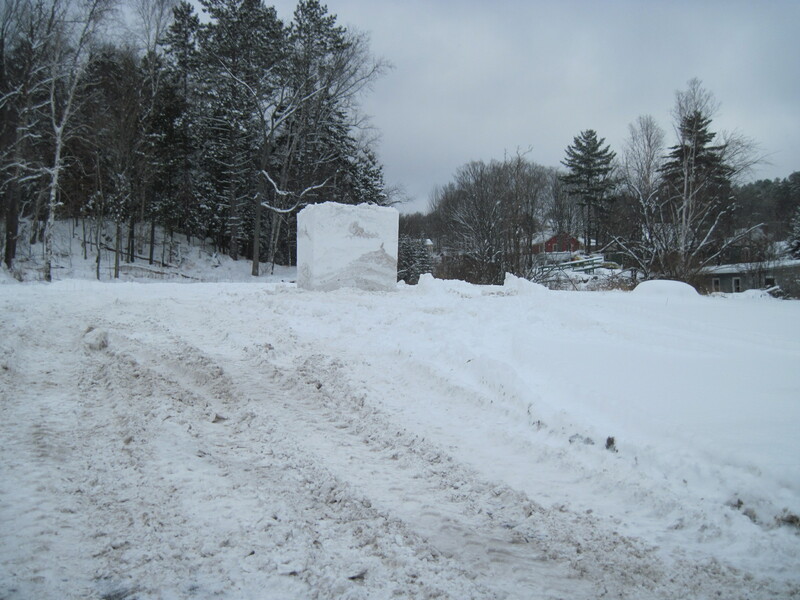 The still image facing the road is a black and white image taken in Long Lake many moons ago. My daughter exclaims “it’s a farm, Mommy. It looks like a farm.” She poses in the light, “I’m the chicken.” My husband takes some shots of her. We walk to the other side to check out the patterned image. “It looks like bloody trees and branches,” exclaims my son. We continue on our journey meeting friendly orbers checking out the other sites. We meet a group at the site of the old Blarneystone. My son accidentally kicks snow into the casing housing the projector. Luckily Matt arrives and notices there is no image on the orb. He rushes to the wooden box and blows the snow out of the slide projector. Local Orber's Check out the Orb. One orber exclaims, "I can see this from my bathroom window and I took a picture the other night." We rounded out the night with another visit to the last two orbs. The moving water orb decidedly our favorite, my daughter skips over to the other side, “look I see a butterfly!” The images at Mt. Sabattis looked like a bridge and flowers. Up close the orbs take on a different look and feel. From a distance another orbtastic view. Just fun to get out of the house mid-week after homework and dinner. Living in Long Lake can be quiet and mesmerizing at times and at other times… we wait for summer, this year I’m determined to enjoy each season as it comes. A few cars stop on the side of the road checking the orbs out. It’s a Wednesday night and people are out, looking to connect with something a little different. 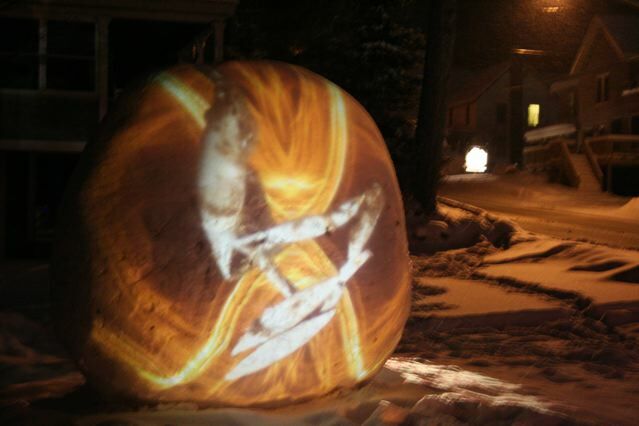 In an effort to include the community Matt and Scott have invited the public to submit Long Lake photos for a rotating image reel on the live video projection orb for Friday night, location yet to be determined. So far five people have submitted a selection of images from around Long Lake, including folks living in New Jersey and Kansas. 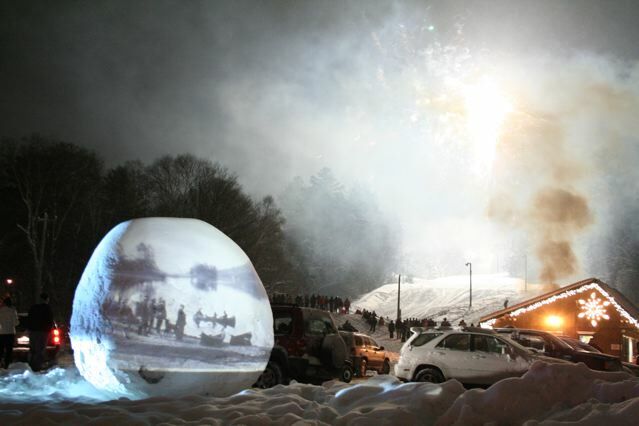 The final night of E-Lumination in Long Lake is on Saturday, January 22nd. This project is made possible in part from support from the following organizations: The Arts Council for the Northern Adirondacks, New York State Foundation for the Arts, The Adirondack Museum, The Town of Long Lake Parks and Recreation Deparment and the Long Lake Archives, Union College, St. Lawrence University, Gillis Reality, John and Jackie Heron, Michael Lombardi, Justin and Darlene St. Amour and William Creighton and with public funds from the New York State Council of the Arts Decentralization Regrant Program. In Hamilton County the Decentralization Program is administered by the Adirondack Lakes Center for the Arts in Blue Mountain Lake. Caleb Davis, proprietor of Tremolo, creates beautiful handcrafted canoe paddles and kayak paddles, teaches paddle-making classes and instructs flatwater paddlers in the traditional forms of both tandem and solo canoe paddling. August 12, 2011 at the Mt. Sabattis Pavilion. Call 518.624.3077 to register. $100 for 8 hour class, all wood & tools provided. Graded by cookies. Today is the fifth night of “orbing, ” Get your “orb” on and feel Long Lakey. 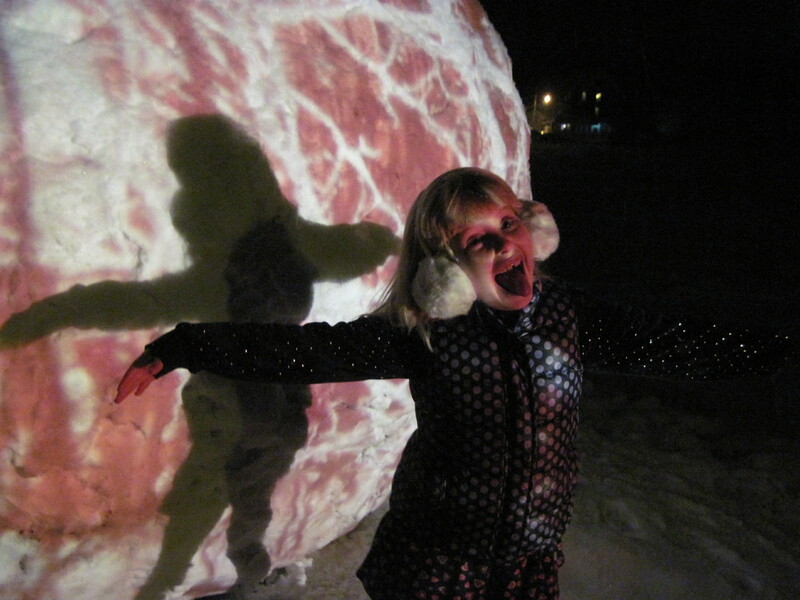 Grab your friends, your camera, the snowboots, or stay in the car, but take the trek out to see what the E-Lumination Art Installation is all about. The images and projections change nightly. The images range from moving water and colorful abstract displays, to stills of historic Long Lake and original imagery created by artists Scott Fuller and Matt Burnett. Not only do the images change nightly, the orbs are changing too. With changes in temperature, comes changes to the forms. 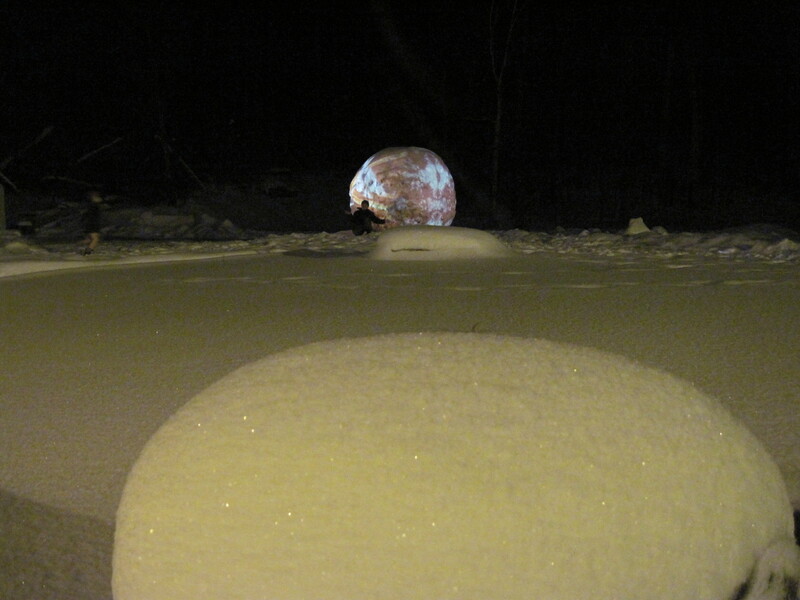 The orbs are retaining their structure, but artists Burnett and Fuller anticipated the formations would alter their appearance, and become “pocky” and worn down if the weather changed throughout the week. Part of the E-Lumination project continues to be the live experiment of man vs. nature. 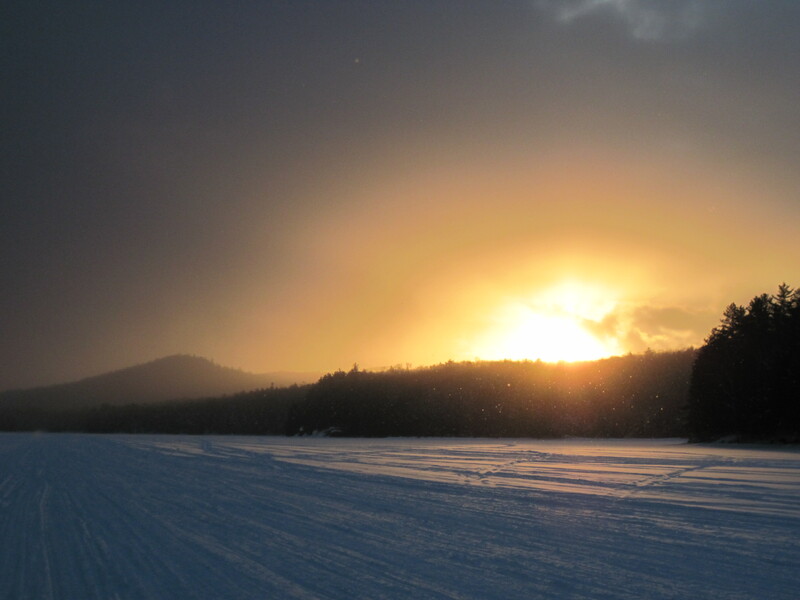 One never knows what to expect when celebrating winter in the Adirondacks and Long Lake, NY. A reminder, the locations for spotting the orbs include Mt. Sabattis, “Ethel’s House,” The Old Blarneystone Site and the Spillway. If you are unfamiliar with Long Lake, no worries, drive into town, stop at a local watering hole and ask, someone will tell you where to go! Yesterday the morning temperature crack open at wake up time at a negative 21 degrees, and today it started out at 8 degrees, but it has climbed as high as 32 this afternoon. Practically balmy! 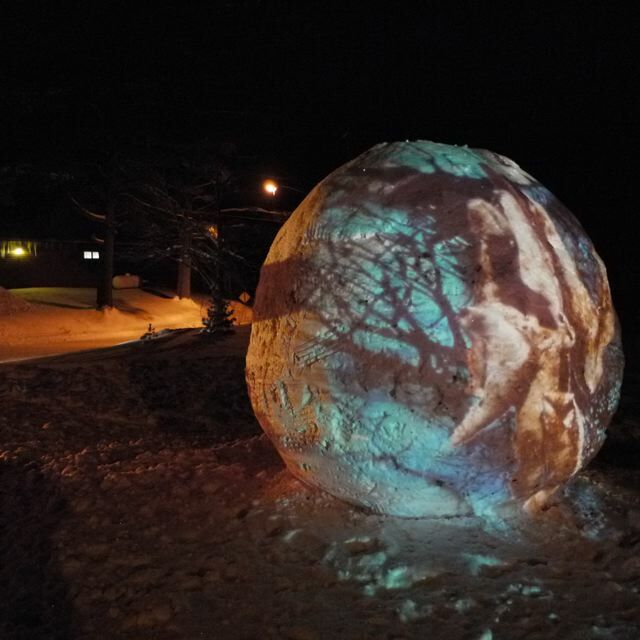 We are calling to all fans of the orbs to submit digital images of Long Lake and Matt will incorporate them into one of the orbs by the end of the week. Submit digital photos with your name to buckshot128@gmail.com to be a part of the community effort. Once Matt decides which orb he will show the rotating images on, we’ll let you know. Haven’t seen the E-Luminations yet? 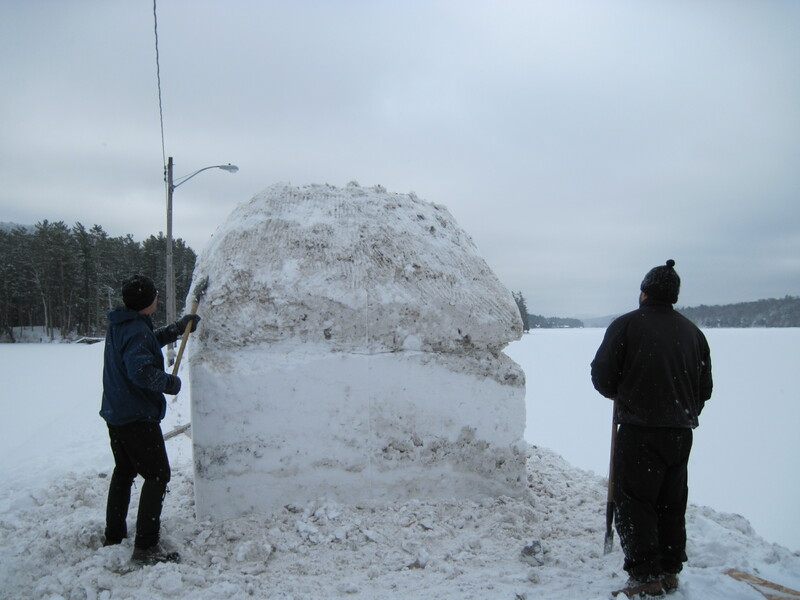 Come down on Wednesday night, check out the orbs and stop by the Long Lake Diner at 7pm for Long Lake Trivia Night. Bring your friends, make a team and make a night out of it! E-Lumination runs through Saturday, January 22nd until midnight. So get out and go orbing before they are gone! E-Lumination is made possible with public funds from the New York State Council of the Arts Decentralization Regrant Program. In Hamilton County the Decentralization Program is administered by the Adirondack Lakes Center for the Arts in Blue Mountain Lake. Tonight is the night the lights go on. This morning, day three, the first orb appeared on site. Orb at the Spillway location. The spillway is a piece of land built by man to create Jennings Park Pond and it separates the pond from the lake below. Driver’s heading south from Tupper will be greeted with the spectacle, viewable from the bridge and from other areas around town. This project is made possible in part from support from the following organizations: The Arts Council for the Northern Adirondacks, New York State Foundation for the Arts, The Adirondack Museum, The Town of Long Lake, Union College, St. Lawrence University, Gillis Reality and with public funds from the New York State Council of the Arts Decentralization Regrant Program. 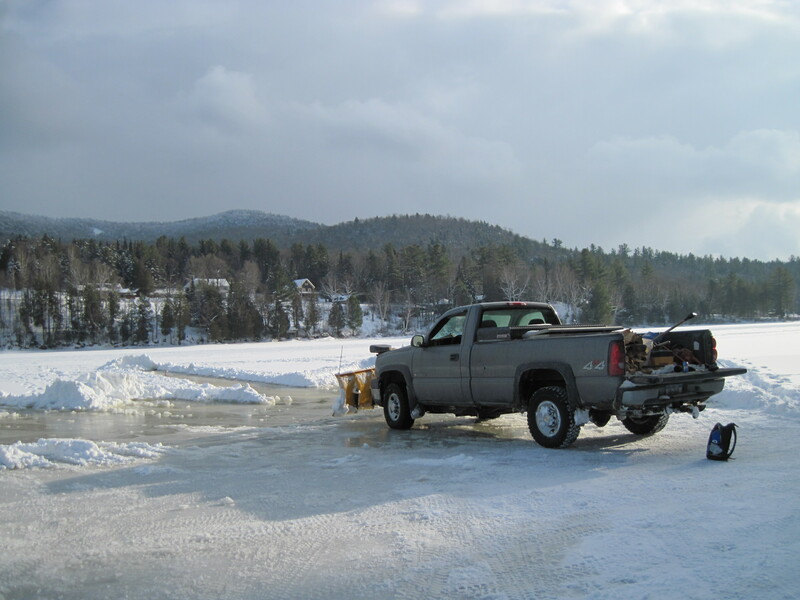 In Hamilton County the Decentralization Program is administered by the Adirondack Lakes Center for the Arts in Blue Mountain Lake. Play a fun trivia game Click Here to link to the game. Winners receive an original Matt Burnett artwork. The E-Lumination installation continues in Long Lake, day two. The day picked up at location number 2 located at the intersection of Deerland Rd and Owl’s Head Lane. The location had been procured the day before via a phone call to the gentleman renting the place. Thanks Mike! Permission had to be granted to allow trucks and a front loader on the property as well as access to electricity to operate the slide projectors which will be in use starting on Friday night. 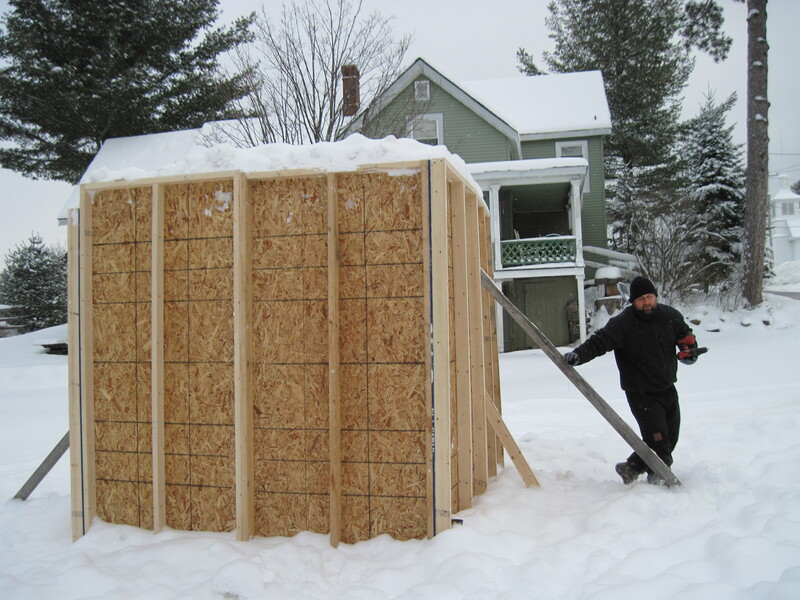 AT 8am, Thursday morning Scott and Matt started to take the boards off the second eight foot by eight foot mold of snow. The screws were cold and uncooperative. Scott announced he locked Matt’s key’s in Matt’s truck. Matt arrived with a Maxwell House tin can ready collect hardware. Hours later they make their third mold at the site of the Blarneystone. Sides off boasts a hardened form with the texture and solid lines sliced like a cake. The sides appearing in clouds of dirt, salt and a sprinkle of snowstorm season on the side of the 2nd “borg” box. Jackie and John Heron gave permission for the third site, the former site of the Blarneystone for the town and artists Scott Fuller and Matt Burnett to install the structure. Now all we need is permission from one more land owner to get power…(please note: hoop) We’ll see where we get tomorrow. Fourth and final location, the Long Lake Spillway. Historic Fun Question: This spillway was built during the depression. True or False? One by one. The sides of improvised wooden boxes come off, but square they shall not remain. The setting forms hold their structure, and the artists embark on the challenge to create circular magic. Mold the squares into orbs and illuminate them with light. What kind of light? Winter, cold, Long Lakey images to change every night. Observe, enjoy, have a cocktail party near the lights. Check back for the contest trivia questions. Winner receives an original Matt Burnett artwork. 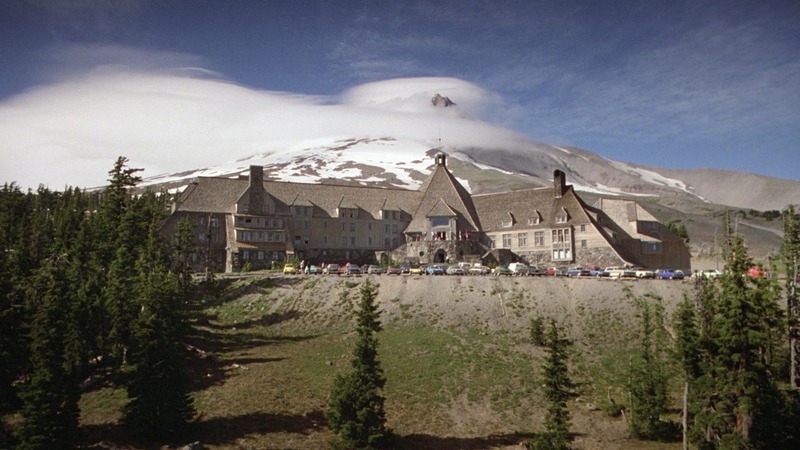 The four locations for the orbs are the Blarneystone, Spillway, Ethel’s house, Mt. Sabattis. Wondering, what will they project on these borgs? Charming Lakefront Cottage on South end of the lake. Open Year Round – Propane fireplace, Washer Dryer. Bookings for weekends and weeks. Right on the snowmobile trail – North Point Trail. New Construction! This house was just built in the Spring of 2010. The house includes a master bedroom with a queen size bed, a bunk room with a set of beds (1 twin, 1 full). Other amenities include: microwave, stereo, HDTV with HBO and DVD player, outdoor gas grill, and fire pit with wood. Linens and towels are provided. Complete kitchen with pots and pans and utensils. Sleeps 5 comfortably.